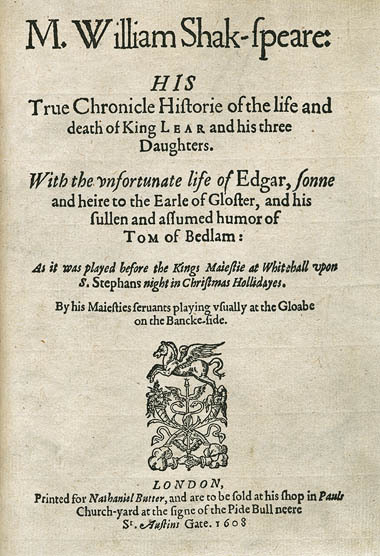 William Shakespeare's tragedy about what can go wrong when an aged King tries to divvy powers amongst his three daughters, Cordelia, Regan, and Goneril. 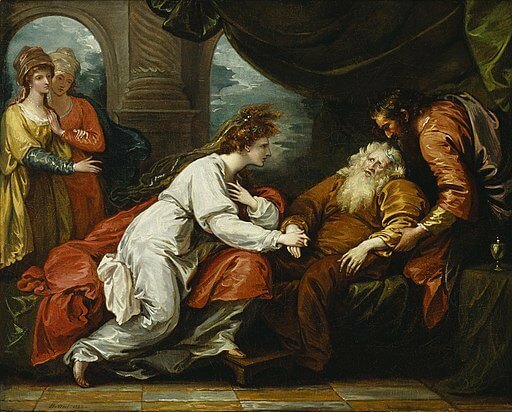 Written in 1605 and first performed in 1606, the role of King Lear remains coveted by fine actors world-wide. ACT I - Scene III. ACT I - Scene IV. ACT I - Scene V.
ACT II - Scene II. ACT II - Scene III. ACT II - Scene IV. ACT III - Scene II. ACT III - Scene III. ACT III - Scene IV. ACT III - Scene V.
ACT III - Scene VI. ACT III - Scene VII. ACT IV - Scene IV. ACT IV - Scene V.
ACT IV - Scene VI. ACT IV - Scene VII. ACT V - Scene III.